What do Amazon, Netflix and Nokia all have in common? Aside from being multinational household-name companies, they're all examples of organizations that have undergone some degree of transformation. 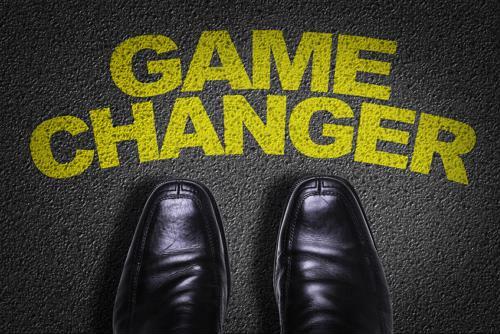 Whether due to consumer buying preferences, advancements in technology or merely to keep pace with competitors who have implemented alterations of their own, change management is an ongoing trend that affects virtually every industry. Companies on the front lines of major transformations can turn to change management professionals to lead the way. Innovation is a classic example of why change management is often needed. Companies like Apple, Amazon and Netflix weren't always the behemoths they are today. Amazon, for instance, started out as an online bookstore, whose primary competition were brick-and-mortar franchises like Barnes & Noble and Borders. Founder and CEO Jeff Bezos had the foresight to recognize the rise of e-commerce and made investments in sales and setting up an online marketplace for various kinds of consumer products. In short, the company made the strategic adjustments necessary to be more in line with customers' desire for one-stop shopping convenience. Similarly, Netflix, the highly popular online streaming and subscription service, began as a DVD rental company, whose products and services allowed film lovers to order movies by mail, then return them once they'd finished. The internet dramatically changed the movie rental industry by allowing customers to watch the same programming straight from their mobile devices and cable boxes. The speed with which video streaming services took off forced the closure of thousands of movie rental businesses, none more prominent than Blockbuster. "Netflix made investments in video streaming technology early on." It appeared as though Netflix would experience the same fate. However, because the company made investments in video streaming technology fairly early on, Netflix largely abandoned its DVD-by-mail model and prioritized streaming. In virtually all of these scenarios where transformation became necessary, project leaders or teams were in place to facilitate and direct the change. By its very nature, change doesn't come easily. It involves many working parts to see through the work processes and outcomes that transformation often dictates. People who specialize in organizational transformation have the temperament, foresight and clarity of mind to see the big picture, so the change process goes as smoothly as possible. While change management isn't necessarily a recent phenomenon, it certainly seems like businesses are in the midst of it more so today than they have been in the past. Robert Gordon, professor at Northwestern University, told The Wall Street Journal that this trend really kicked into high gear in the 1980s and '90s, which resulted in the digital revolution. "We went from typewriters, paper and filing cabinets to a world of desktops, laptops, search engines and electronic records," Gordon explained. "Virtually every form of communication transferred from paper to digital." He went on to say that innovations have altered the ways in which industries operate by honing in on multifactor productivity. This is a process that measures the level of output gained after making changes to how things are done in the development of products or services. What types of skill sets do change management leaders possess? In addition to organizational aptitude and the ability to delegate, leaders who specialize in organizational transformation are proactive, capable of identifying trends in consumer behaviors or technologies that are brewing or underway. Some of the most successful companies have proven that businesses can achieve results by being reactive to their competition. Having the ability to read the tea leaves in the early stages enables businesses to make the appropriate investments so adjustments are implemented in phases rather than all at once. By investing in human capital, businesses can leverage change management professionals' expertise to lead transformations when and wherever they become necessary.